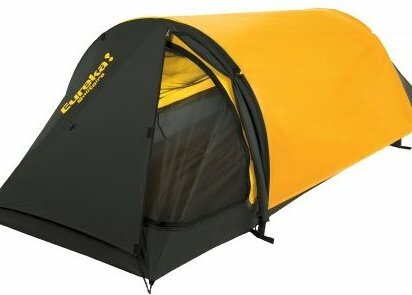 Two-hoop bivy-style tent for one sleeper (21.33 square foot area) Ventilated with a large mesh roof; attached full coverage fly. Zipper in roof cloth for easy entry/exit. Includes two storage pockets and one flashlight loop. Center height of 28 inches; weighs 2 pounds, 9 ounces.